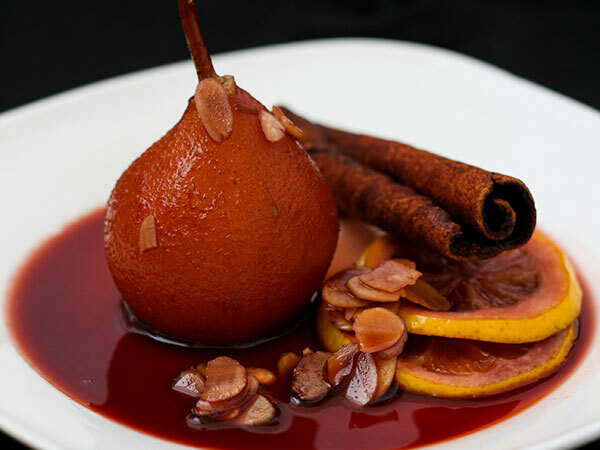 Warmer weather means it’s time to showcase seasonal fruits and lighter ingredients in the dessert lineup. 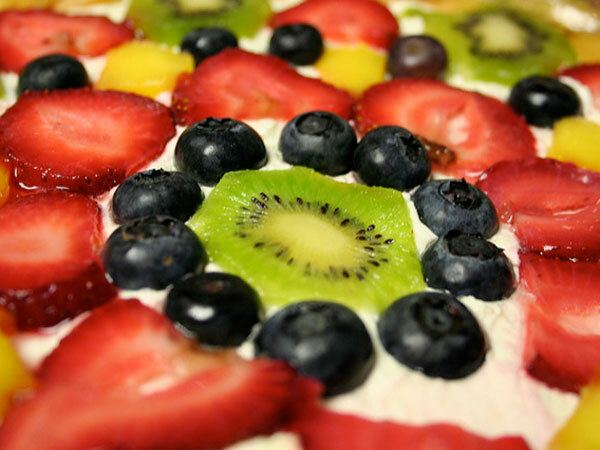 Fresh strawberries, apricots, pineapple and kiwi are abundant now, with peaches, blueberries, plums and other fruits about to become widely available. Get the season started with these fruity desserts. Honey, sugar and cream and ricotta cheeses are mixed together and layered with fresh fruit in this delightfully fluffy dessert. 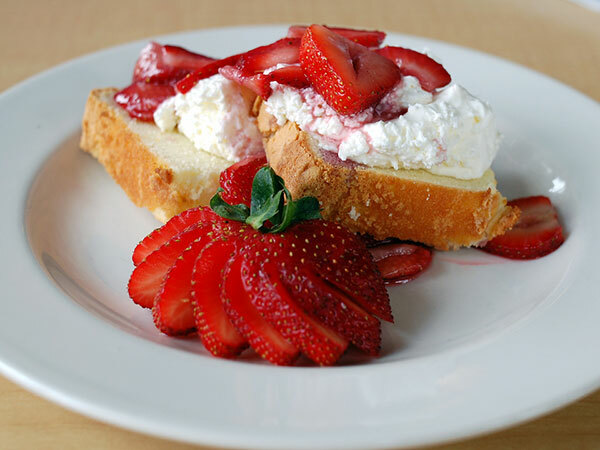 Bruschetta for dessert—why not? Fresh fruit and crunchy walnuts partner up to make a healthy but craveable topping for toasted pound cake. Chef Curry developed this recipe for a chef competition, and it’s a winner as a sweet ending to a meal or an anytime snack. 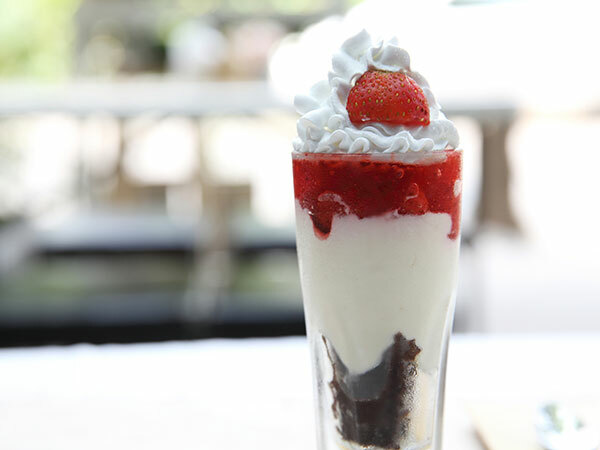 The whipped cream is optional. 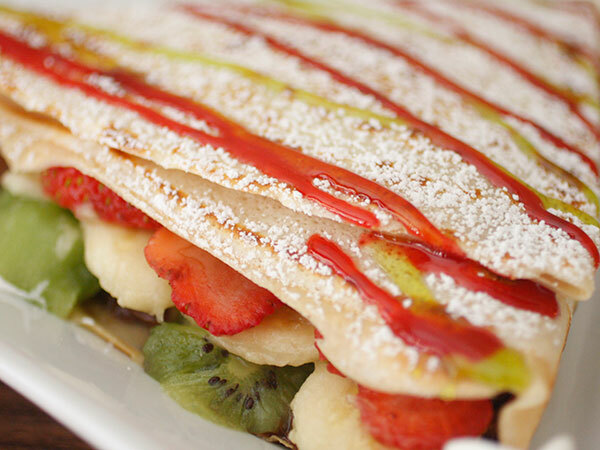 Incorporate fresh kiwis and raspberries into your menu with these sweet dessert crepes. A nice combination of fruit poached in a soothing tea bath and flavored with honey and lemon creates a delicate and refreshing treat.